Signature Entertainment will be bringing the Art the Clown starring movie TERRIFIER to the U.K. soon on DVD and Digital HD download. A hair-raising homage to the grindhouse slashers, TERRIFIER is a thrilling, gory horror that introduces a new murderous icon in the form of Art the Clown. Set to haunt nightmares for many years to come, Art is an unstoppable force who will slay anyone who gets in his way - and he doesn’t go easy on the grue. Katie Maguire (TV’s LI Divas, ALL HALLOWS' EVE). 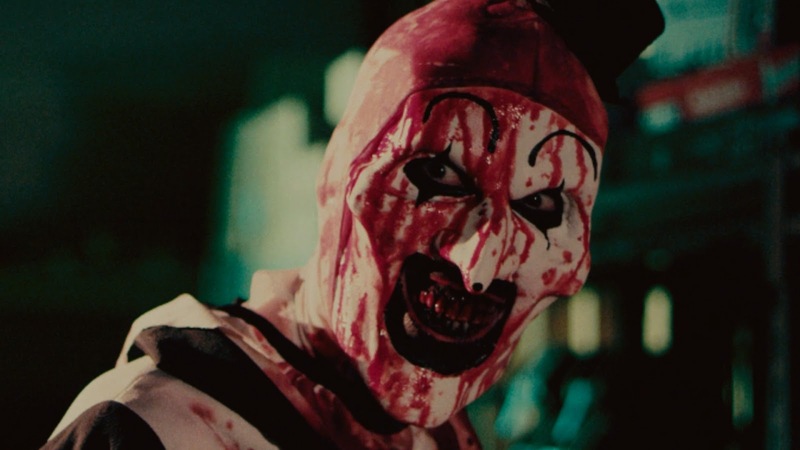 Terrifier is the story of the maniacal Art the Clown, who terrorizes three young women on Halloween, butchering everyone who stands in his way. In grand Halloween tradition, we see the night he came home in all its gory glory, in a place where nobody floats and everyone dies. Art really is the clown who will haunt your nightmares. Signature Entertainment will release TERRIFIER in the U.K. on DVD 2nd April 2018 and a Digital release on 30th March 2018.